Amazing Race has always been one of my favorite reality shows. Though I envy the exotic places the contestants visit, I do not envy the fact that they would just race through the country, with hardly any chance to take in the sights and experience the culture. Though the prize at the end of the race is very enticing, it entails a lot of effort (and pain) to reach the finish line first. 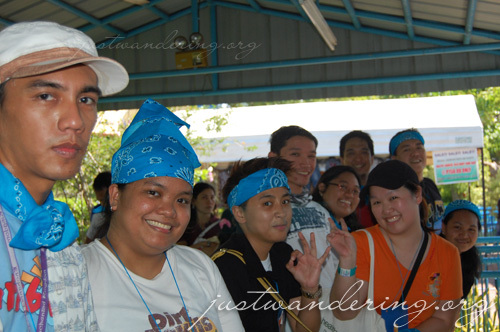 I’ve had a taste of this Amazing Race type of activity years ago, and that experience was enough to turn me off the game altogether. So it was with much hesitation and second thoughts that I accepted Myla of Enchanted Kingdom’s invitation to the park last May 10. She let it slip during our last trip to the park that there’s going to be an Amazing Race type team building activity. The warning bells went off in my head, and it was only my love for the park that compelled me to accept the invite. 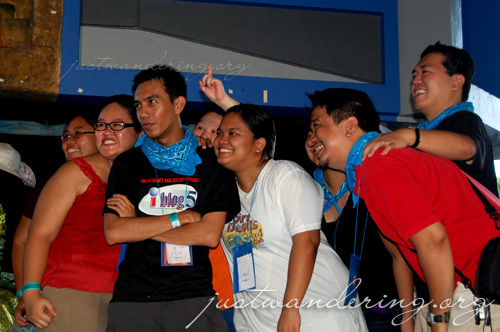 Come Sunday, I found myself with 49 other bloggers inside an ITEX shuttle van headed to Sta. Rosa, Laguna, hoping that the team building thing has been dropped from the day’s program. Turns out, that was the highlight of the event. 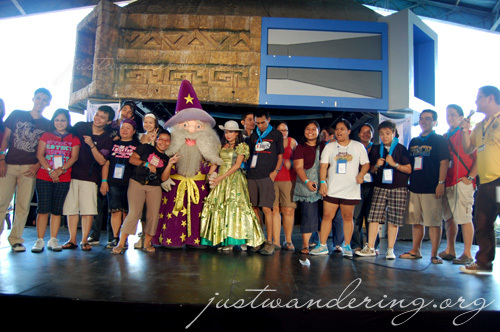 Magicalympics is the theme park’s unique team building experience for organizations. Making clever use of the park’s thrill rides, you and your team get to have fun while working as a team to complete the challenges given at each station. I won’t give away the details of each challenge (because it has to be a surprise! ), but I will say that on most of the challenges, you will be required to actually ride and finish the duration of the ride. The great thing about Magicalympics is that it lets you experience the rides you go to EK for: the Wheel of Fate, Jungle Log Jam and the Dodge ‘Em bump cars just to name a few. The contest rules state that running is not allowed, so you don’t have to worry about dashing from one end of the park to the other. It takes you all around the park, so you will be familiarized with Park’s offerings and maybe discover a shortcut or two. 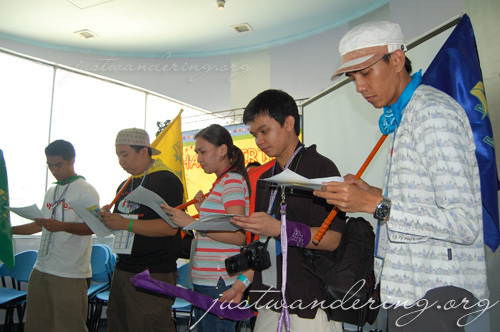 And of course, you also get to exercise your problem-solving skills with your team. All in all, it was a fun-filled day spent with friends and new acquaintances. We still had plenty of time before we had to head back to Manila, so after the Magicalympics, we made the most of it by riding the Rio Grande Rapids twice, trying out the yummy treats from the park concessionaires, watching the fireworks and taking jump shots around the park. Not a bad way to spend a Sunday. Speaking of Sundays, I discovered that the best time to go to Enchanted Kingdom is during a Pacquiao fight, and during Mother’s Day. There were hardly any people at the park, making the rides much more enjoyable because the lines aren’t that long. Interested in the Magicalympics for your organizations? Visit the Enchanted Kingdom website for details. Dude, you know I’d love to be your partner…except you’d probably get mad at me if I decided to start sampling all the food kiosks along the way!!! Amazing Race is a fun show—I love it when the teams start bickering with each other. You see how stressed they get when they can’t get a challenge right or they’re forced to do something they’re afraid of. Gotta love it. So, any prizes at Magicalympics?